Custodian of the Two Holy Mosques King Salman bin Abdul Aziz Al Saud arrived in Hail region on Wednesday evening. 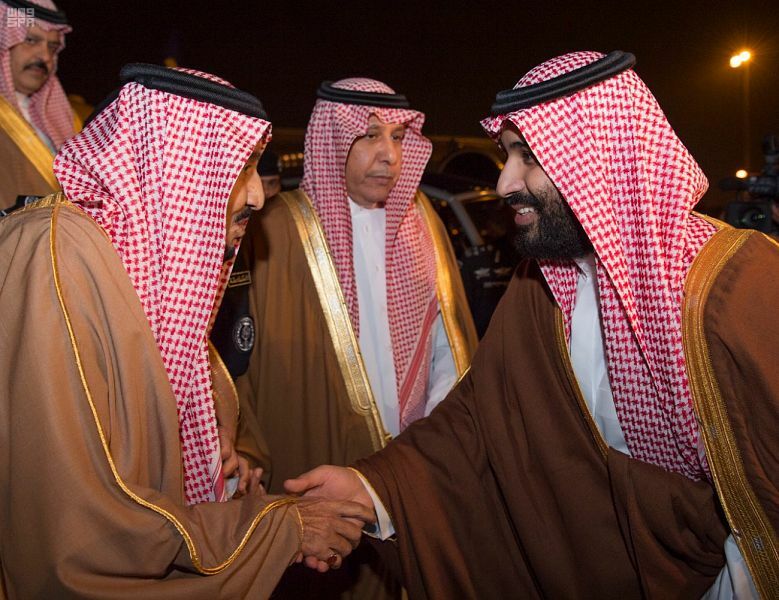 Upon arrival at Hail airport, the Custodian of the Two Holy Mosques was received by His Royal Highness Prince Mohammed bin Salman bin Abdulaziz, the Crown Prince, Vice President of the Council of Ministers and Minister of Defense. The Custodian of the Two Holy Mosques was also received by Prince Abdulaziz bin Saad bin Abdulaziz, the Governor of Hail Region, a number of other princes and senior officials. The Custodian of the Two Holy Mosques was accompanied by a number of princes and senior officials. The Custodian of the Two Holy Mosques left Qasim region earlier this evening and was seen off by a number of princes and senior officials at Prince Naif bin Abdulaziz International Airport in Qasim region.